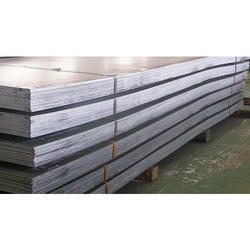 Wear Resistant Plate is used in areas where there is likely to be a high degree of abrasion or wear of the steel plate. Typical applications are in truck beds, attachments to diggers and earth movers and in processing applications in the mining industry. Abrasion resistant steel plate such as AR400 and AR440 alloy is suitable for applications where resistance to wear is a critical demand. The key quality for wear resistant steels is their hardness. Abrasion-resisting plate is specified for a variety of harsh environments where the impact or sliding of abrasive materials require tougher and harder steels to improve equipment life and decrease downtime.400 HB steel is over 3 times harder than mild steel (120HB), but only a third as hard as stainless steel (1250HB). Example uses are for construction machinery, skips, bulldozers and excavators, buckets and conveyors. Looking for Wear Resistant Plate ?